Workers are dying as a result of toxic exposure in the workplace at a rate of one every 30 seconds, according to the new report from the UN Special Rapporteur on Human Rights and Hazardous Substances and Wastes, presented on 12 September at the 39th session of the Human Rights Council, in Geneva. With 2.78 million deaths per year attributable to unhealthy or unsafe workplaces, the report finds that women, children, migrant works and the poor are especially vulnerable, and that the solutions to solve this global crisis of public occupational health require the participation of business, governments, and international organisations. The report contains 15 recommendations or principles, the implementation of which would ease this toxic burden on workers around the world. 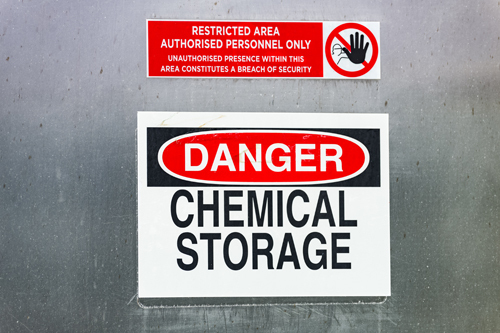 Key among these is that every worker has the right not to be exposed to toxic substances without their prior informed consent, meaning full and prior information on the toxic hazards he or she might be exposed to. The report states that workers have the right to also know the implications of exposure to harmful substances and wastes, the actions being taken to prevent exposure, and their rights in relation to such exposures. In relation to this right to know, the report finds that it is never legitimate for States or businesses to refuse to disclose health and safety information on the grounds that it is confidential, a safeguard which is also found in the legally-binding Stockholm (article 9) and Minamata (article 17) conventions respectively. Following the 15 principles would assist countries and businesses to implement the ILO Promotional Framework for Healthy, would contribute towards the attainment of the globally-agreed Sustainable Development Goals or SDGs, and would also advance the implementation of the Basel, Rotterdam, and Stockholm conventions, the three principal and legally-binding chemicals and waste conventions, which have near-universal scope with 186, 160 and 182 parties respectively. More importantly, however, implementing these principles would eliminate suffering, illness and death amongst the world’s most vulnerable workers.